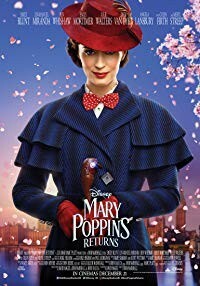 Plot: The mysterious Mary Poppins returns to Depression-era London to visit Jane and her brother Michael, now a father of three, and helps them rediscover the joy they knew as children. Starring: Emily Blunt, Meryl Streep, Colin Firth, Ben Whishaw. distributed by Buena Vista «Mary Poppins Returns» in the US movie theaters released on December 19, 2018 and has grossed over $336 million worldwide; dvd and blu-ray release date was set for March 19, 2019. Rent from Netflix and Redbox from March 22, 2019. «Mary Poppins Returns» in the UK released in movie theaters on December 21, 2018. The movie released on dvd and blu-ray on April 15, 2019.